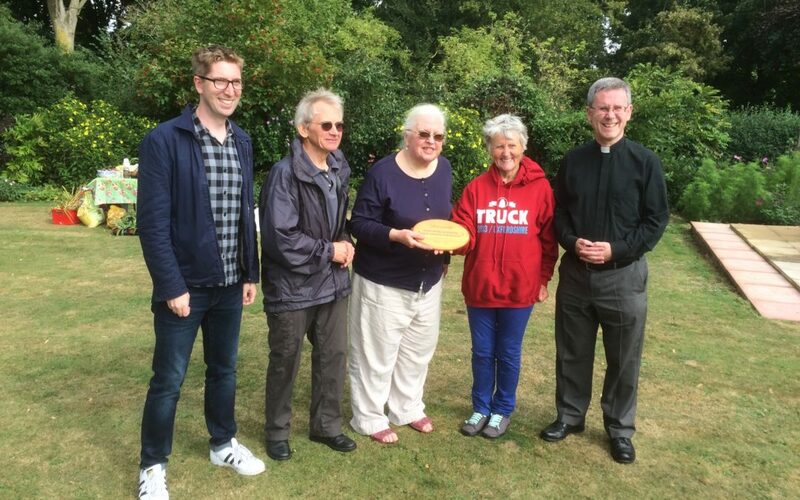 Stowmarket Parish wins its Live Simply Award! It’s a real pleasure – and a tribute to everyone in the parish – to announce that after the assessment earlier today Stowmarket Parish has been given a Live Simply Award. Daniel Hale (far left above) and Bernard Shaw (to the right of him), our assessors, were given a full report of all the activities that we, as a parish, have been doing under the Live Simply banner. The formal announcement was made at the end of the Duck Race event – just as the sun came out of hiding for the first time! Thank you to everyone in the parish who has contributed to this achievement – however much or little you think you have done. It demonstrates that we are an active, caring parish, fully involved in our local community and committed to the aims of the Live Simply campaign: living more simply so that others may simply live.